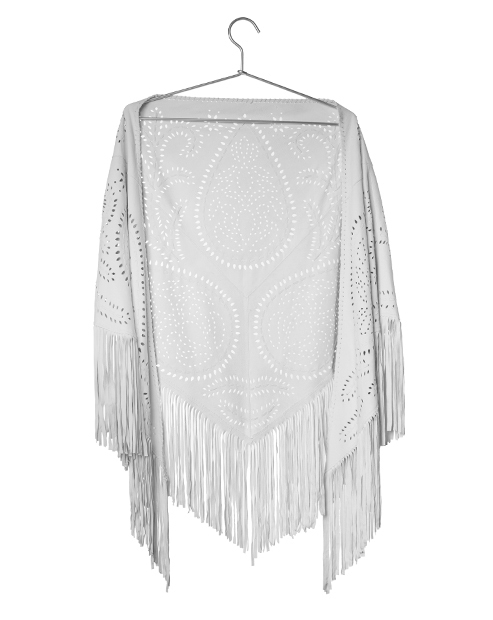 Bring an authentic boho luxe vibe to your wardrobe with this premium genuine suede shawl in bright white. 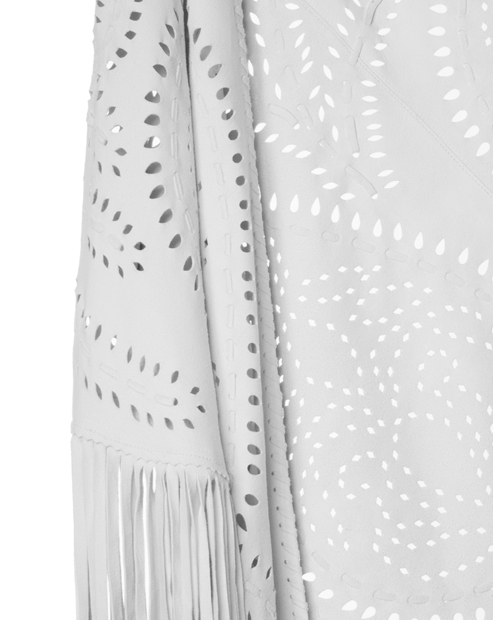 Boasting an intricate hand perforated design and flowy fringes, you’ll love it lightweight and effortless feel. Wear it open in the front, knotted or toss one end over your shoulder, or around your hips like a pareo on the beach. 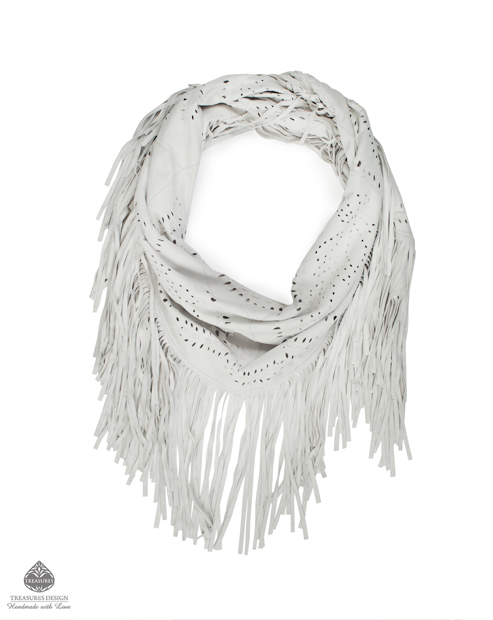 - width: 160 cm / 63"
- height including fringes: 64 cm / 25,2"